In a fast-paced, heavily distracting and often confusing world, small minds are bombarded with emotions and feelings that are often difficult to understand and cope with. For this reason, studies show that children are increasingly suffering from stress, anxiety, and even depression. Practicing mindfulness can help kids learn to focus, manage stress, regulate emotions, and develop a positive outlook on the world. Mindful awareness helps students with self regulation, optimism, and planning and organizational skills ~ Maria Hersey, Ph.D., the U.S. director of education and training at The Hawn Foundation. Practicing Mindfulness helps children to notice the positives and get a perspective on the negatives. This assists in developing a sense of appreciation, gratitude and contentment. In turn this reduces their risk of mental health issues such as anxiety and depression. I've pulled together a list of wonderful, fun books that you can use to introduce your child to mindfulness, and enjoy some reading time too. Curiosity is normal in children, but most often, their feelings and sensations about people and things remain unexplained. 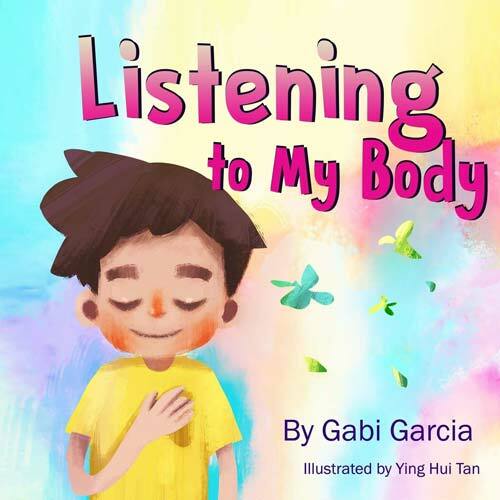 Listening to My Body is an interactive book that engages children and helps them name their feelings and sensations and understand the connection between them. 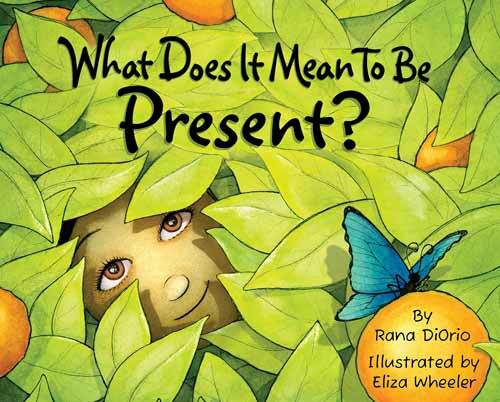 This book makes use of mindfulness activities to help kids develop emotional resilience. 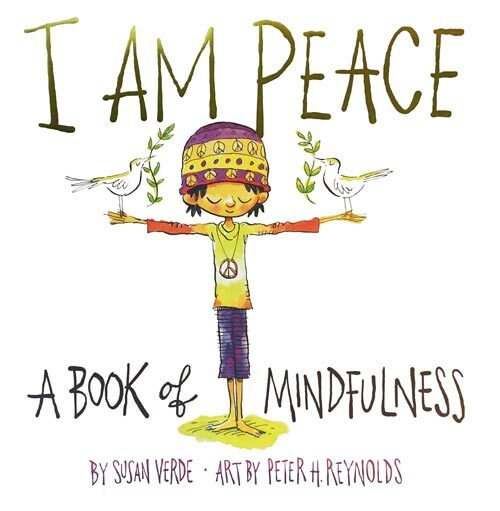 Created by the same team who wrote I Am Yoga, I Am Peace is a wonderful picture book that helps children find peace within through mindful practice. It is an ideal tool for teachers in the classroom and moms at bedtime, as it brings a simple clear message of awareness and understanding in a manner perfect for kids. Connect your kids with the earth. Enhance their imagination. Develop the expression of their emotions. Be present in the present. If your child loves dogs this is a great book to inspire mindfuness. Cassidy is a playful pup who likes the smell of flowers, the feel of the warm sun, and the taste of a snowflake on her tongue. 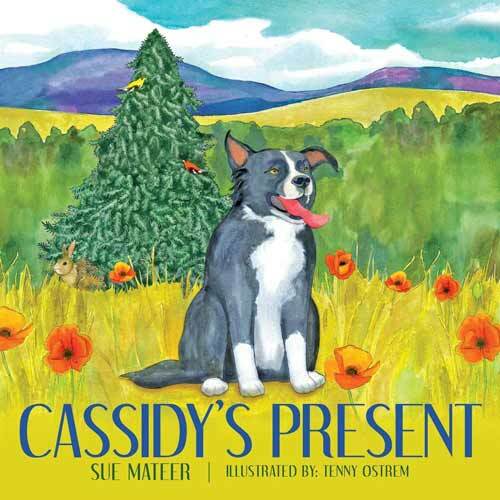 But her human friends, Anna and Charlie, seem too distracted by the cares and concerns of their everyday life to join Cassidy as she plays through the seasons. Cassidy helps her friends to appreciate the present moment and everything it has to offer. As much as it is necessary and important to teach our kids to be friendly to others, it is essential to talk to them about being friends to themselves. This friendly book regards self-acceptance and positive self-talk to be helpful in building a child’s emotional resilience and develop a happy and strong mentality. Listening to My Heart also touches on other universal subjects of empathy, friendship, and kindness. As a bonus, mindfulness and self-compassion activities are also included in this small yet beautiful book. 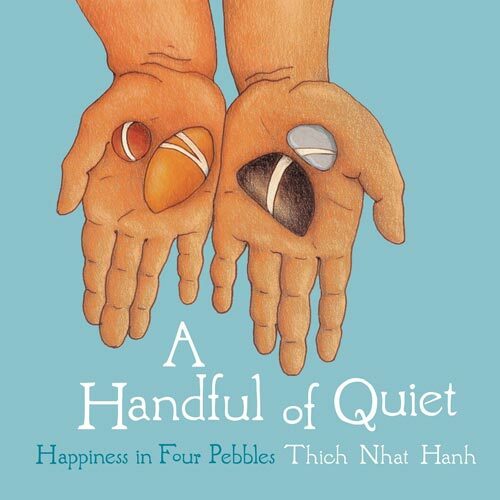 This amazing book introduces one of the most innovative meditation practices for children — pebble meditation. An engaging and playful activity that introduces meditation during the early years, pebble meditation is developed to involve kids in a hands-on manner that establishes their interconnection with nature. A Handful of Quiet is a perfect tool to help children relieve stress, heighten their concentration, nurture their gratitude, and help them deal with different difficult emotions. Aside from doing it with the guidance of teachers and parents, children can also do pebble meditation on their own. 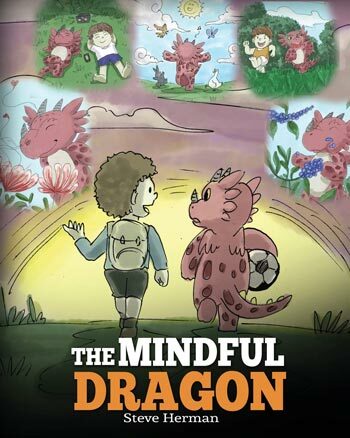 Kids love dragons, and, with the help of cute and entertaining creative illustrations, the Mindful Dragon teaches kids the importance of focus and peace, and helps them develop an understanding of their present emotions. What if your dragon is worried about many things? Well, grab this fun book and train him to be mindful! Even kids have anxieties and worries. 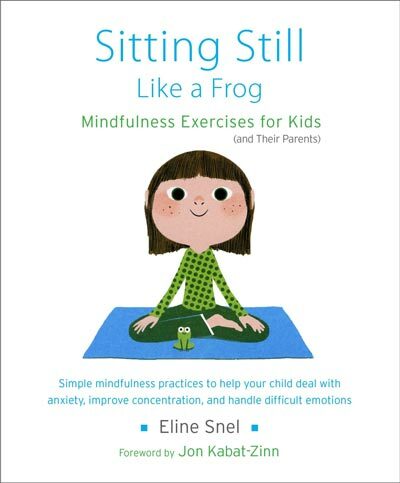 Sitting Like a Frog presents mindfulness practices in a simple, kid-friendly way to help children learn concentration, deal with anxiety and stress, and handle demanding emotions. The book also contains practices that are focused on certain common scenarios to help youngsters get a grip on their feelings, manage anger, become more aware, and exercise patience. Along with the book is a 60-minute audio CD of guided exercises. This lovely book is the perfect introduction to mindfulness meditation. Childhood is supposed to be all about unicorns and rainbows, but what if it’s not? In this world that gets more chaotic and stressful day by day, kids would greatly benefit from child-friendly resources that increase their wellness. 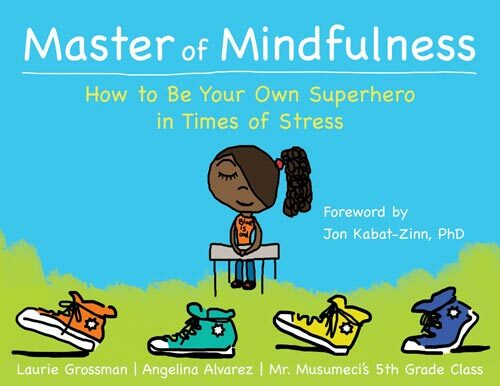 An empowering book that uses cool illustrations, Master of Mindfulness is ideal for showing kids how to be focussed, stay calm, be confident, and channel and use their inner strength to be their own superhero! In any scenario, a child could use some superpowers, and this is what this little book aims to fulfill — to give children the skills they need to handle their emotions the mindful way. 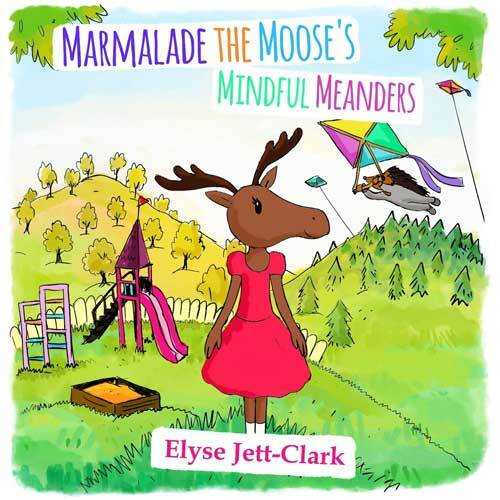 Walking in mindfulness is what Marmalade the Moose likes to do! Join her as she navigates to fun places such as the beach, a farm, and a forest. She also enjoys going on an exciting hike with her friends and just lives in the present and be aware of everything little thing that happens in the background — the tweeting of the bird or the swaying of tree leaves. This book is perfect for both kids and adults to learn more about gratitude, mindfulness, and happiness! Children today are engaged in a fast-paced, media-driven, competitive society that can lead to increased stress and stress-related problems such as anxiety and depression. Mindfulness is a way to deal with this stress and can help children calm themselves and focus their attention. Mind Bubbles presents an easy way for young children to work with their breath while noting thoughts and feelings passing and popping like bubbles. 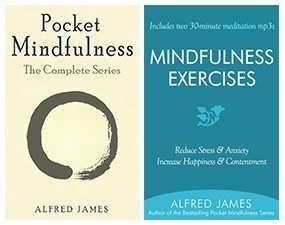 The book is a clear, concise, and secular explanation of mindfulness. It’s never too early to start! Designed to gently introduce kids to the practice of mindfulness, Crab and Whale is a wonderfully illustrated story perfect for playtime or bedtime. 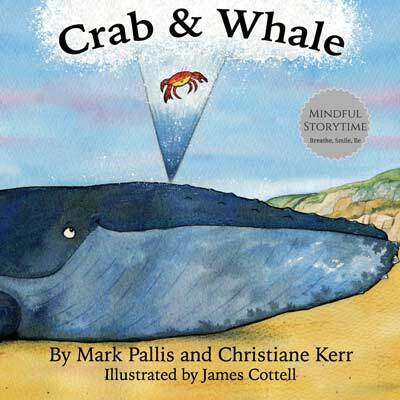 The story of the crab and the whale touches on the values of mindfulness: acceptance, generosity, gratitude, kindness, patience, and trust. This book helps children become more relaxed and resilient in an imaginative and interactive way. Positive self-talk builds confidence, and confidence empowers a person. Start from the early years and help your children tap into their own inner strength to find the empowerment they need for situations they will face in everyday life. This fun and colorful book is a wonderful way to teach kids to practice kindness and peace, speak up when necessary, handle difficult situations, and listen to that quiet voice inside. 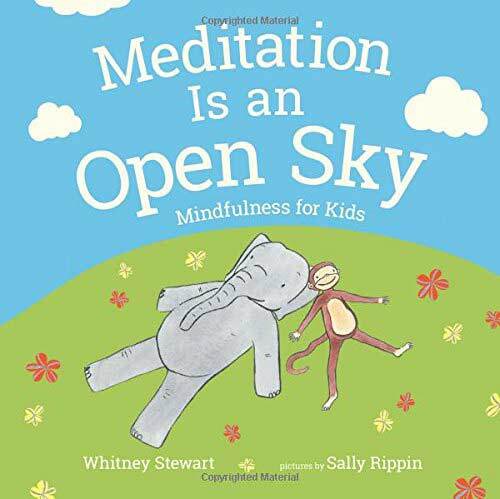 Inside the Meditation Is an Open Sky contains simple exercises that help children to help handle difficult emotions, manage stress, deal with challenges, and find focus. This book is designed to teach children the value of kindness and gratitude and how to feel safe when afraid, be calm when anxious, and relax when frustrated. 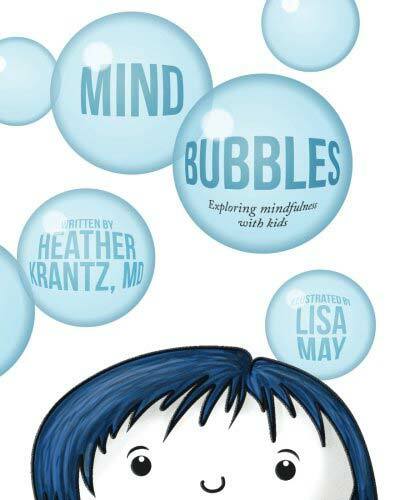 Simple and fun, this mindfulness book is perfect for helping kids navigate through their everyday life, all the while maintaining their wellbeing. The Lemonade Hurricane is a story of Emma, a kid who doesn’t like hurricanes and loves to sit still, and Henry, her little brother, who is her complete opposite–the reason she calls him The Lemonade Hurricane. One day, Emma decides to teach Henry how to be still and rest. For parents and teachers who want to introduce mindfulness meditation to children, this book is the ideal tool! 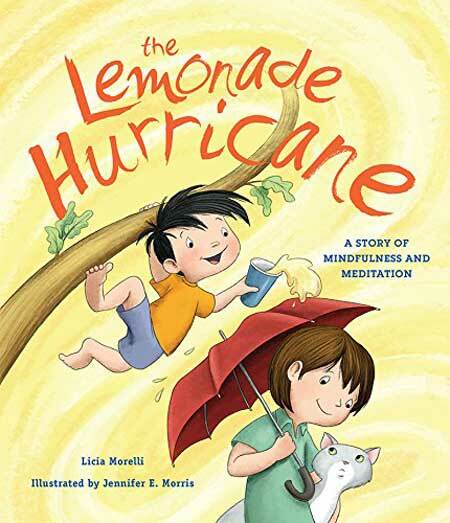 Presented as an enchanting story, The Lemonade Hurricane teaches kids how to sit, bow, and breathe to calm the raging hurricane within them. Follow Madeleine and her adventures as she learns how to take over her mind, turn her thoughts into powerful thinking, and improve her confidence. 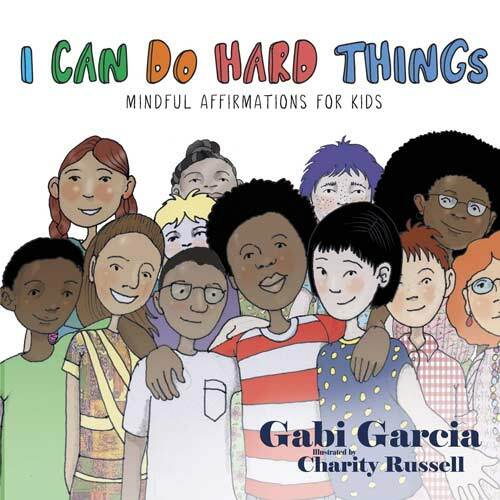 This little book can be used by parents and teachers to guide children in developing positive self-esteem and transforming their mindset from negative to a strong can-do attitude. 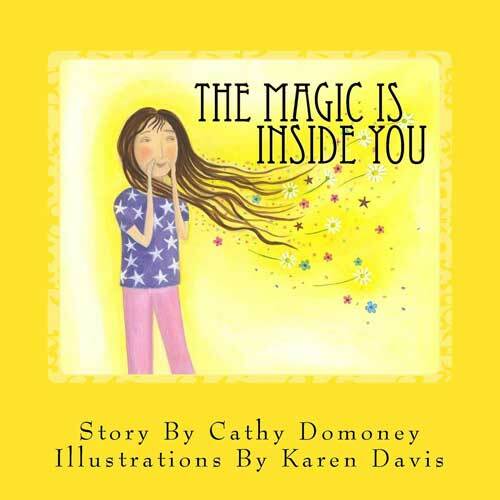 The Magic is Inside You provides children with the right words to express their emotions in certain situations. 16. What Does It Mean to Be Present? Join a group of friends in this interactive book as they navigate through childhood in school, at home, and at the beach! Follow their experiences as they learn how to be in the present, such as waiting patiently for their turn, focusing on what is happening at the moment, and noticing and taking action when someone needs help. For parents and teachers, this book is a great tool to help children start mindfulness early and set the tone for their lives! A lovely collection of illustrated mindfulness exercises, Breathe Like a Bear teaches children techniques for managing their breath, body, and emotions. It is filled with imaginative and playful ideas children will love and help them better connect with themselves. What makes it even better is that the simple and short mindfulness practices in this book can be performed anytime, anywhere! 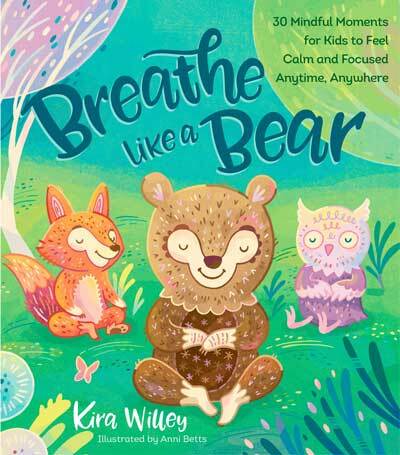 Encourage your child to be mindful the most whimsical way with Breathe Like a Bear. 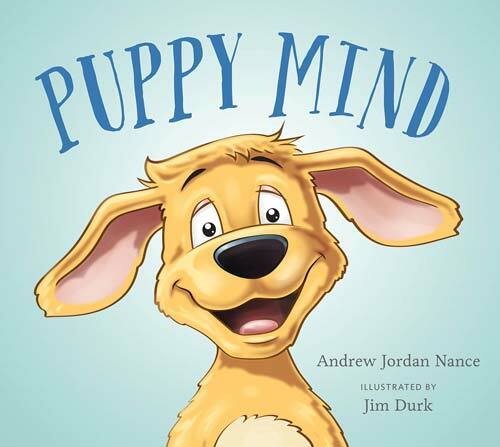 Puppy Mind follows the story of a young boy discovers his mind is like a puppy, always wandering away, into the past or the future. He then starts to train his puppy mind to learn how to be and live in the present. Through breathing practices, the boy becomes a stronger master to his puppy mind, remembering how to breathe, keeping it in the present. Puppy Mind is a wonderful introduction to mindfulness meditation. 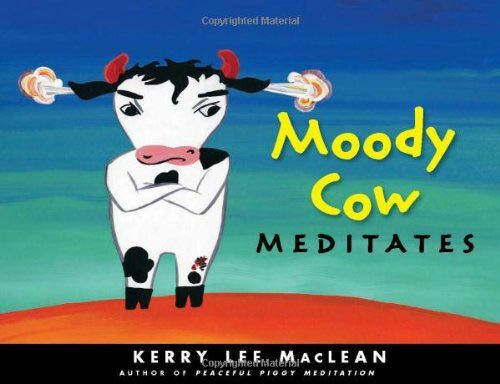 A perfect way to introduce meditation to children, Moody Cow Meditates is designed to help kids discover calm, confidence, and resilience! In this fun-filled, colourful book, Peter the cow learns how to manage his mind and control his emotions through a simple exercise with the help of his grandfather. Teach your child the secret to handling negative emotions and calming thoughts with this playful book. 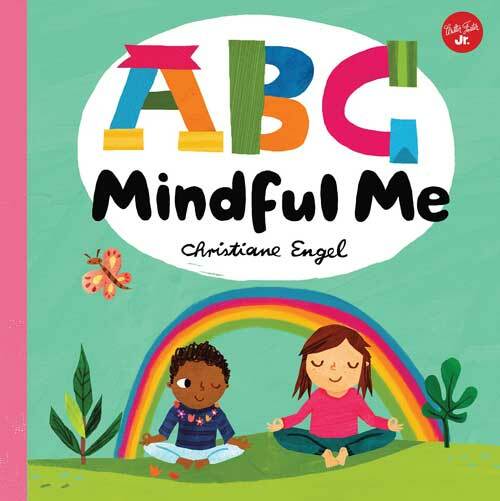 Featuring colorful illustrations and lively rhymes, ABC Mindful Me is a simple yet powerful tool to introduce mindfulness to children. This book takes advantage of the alphabet to teach little one not only their ABCs but also simple meditation principles paired with each letter. 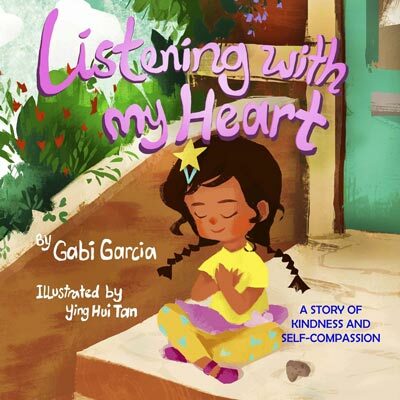 These principles promote breathing, compassion, gratitude, kindness, stillness, and overall wellness; guiding young readers to enhance their listening skills and concentration. Join a young boy in his experience of developing emotional intelligence as he becomes aware of his thoughts, the way they make him feel, and the actions he needs to deal with them. 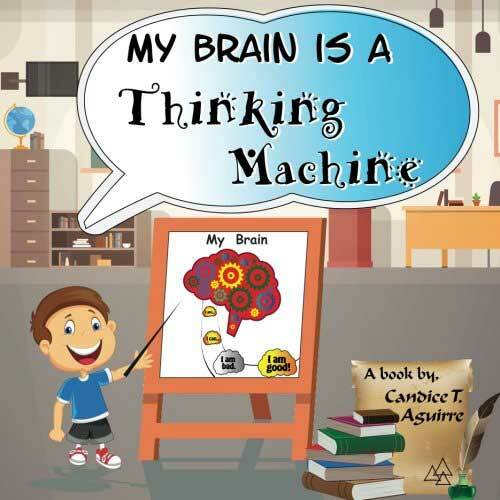 My Brain is a Thinking Machine teaches children about the power of thoughts and a positive mindset. It is a great book for young readers to learn about emotional management and resilience. Providing real, actionable yoga information, this book is an ideal partner for adults to practice yoga with their kids. Yoga and Mindfulness for Kids introduces the secrets of yoga success and the reasons why yoga is an effective way to build a child’s wellness and help him/her cope with emotional stress. It is also a powerful method to bring the child’s attention to the present. 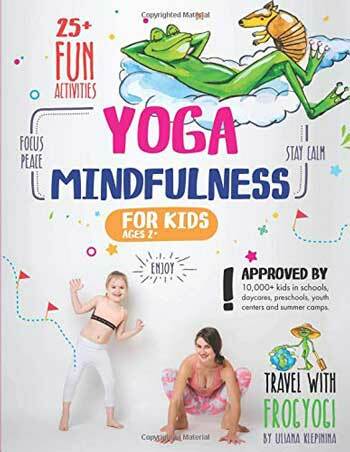 The book presents a Kid’s side containing beautiful, colorful illustrations, and a Parent’s Side, which houses high-quality colored photographs of yoga poses.